chosen detention.” But that wouldn’t have been accurate. If I reject the class rules, I must accept the consequences. But I didn’t choose the consequences. My teacher sent me to detention because I rejected the rules. and loving teacher actually choose to send her student to detention? You can see where I’m going with this, can’t you? We don’t need to defend God. He’s big enough to stand on His own. says He will send those who reject Him to hell. Yes, man chooses to accept or reject God. But God is the One who actually sends sinners to hell. Life, he was thrown into the Lake of Fire” (Revelation 20:15 LB). to kill and then cast into hell” (Luke 12:5 LB). in hell” (Matthew 10:28 LB). The good news is that He doesn’t want anyone to go to hell! His desire is that all would choose Him. But He allows us to make the decision. repented and accepted God’s forgiveness for my sins . . . I believe He is perfect. I believe what He says is true. And I believe everything He says. He explains Himself through Scripture. we wouldn’t have to spend eternity in hell. Someone has to pay for your sins—either you or Christ. through Christ. But He won’t force you to accept His gift. God’s love is true love. Therefore, His love also has boundaries. He’s angry about evil that hurts His disciples. And He does something about it. He gives everyone a choice. and to cling to him. . . .” (Deuteronomy 30:20 LB). He wants every person in the entire world to choose Him. And, yes, He does make Himself known to everyone. Need proof of this? Check out Romans 1:20 and Romans 2:12-16. To NOT choose Christ is to choose hell. And God will send those who reject Him to hell. Please pray for our services this weekend as I speak in Georgetown, TX. God accepts us as we are, and He saves us as we are. But He loves us far too much to leave us where we are. when we become tolerant of what God hates. him to, he is a liar. love us exactly as we are. And neither should we! into righteous alignment with Himself—a holy God. thing will rejoice in our heavenly Father. nature is in Alaska. It can be breathtaking! I’ve been there four times and I’ll be speaking there again this fall. But I want to go back in 2019. I want us to go to Alaska together. 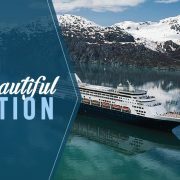 family” cruise to Alaska for June 1-8, 2019. I know the benefit of getting away and letting God refresh me. You may need it as well. So I’ll be speaking in our own private services on this exciting cruise. of fun, and an incredible time of ministry together. amazing. You can choose from a variety of options. brochure with all the details. Will you please pray about joining me? and the spiritual restoration we all need.